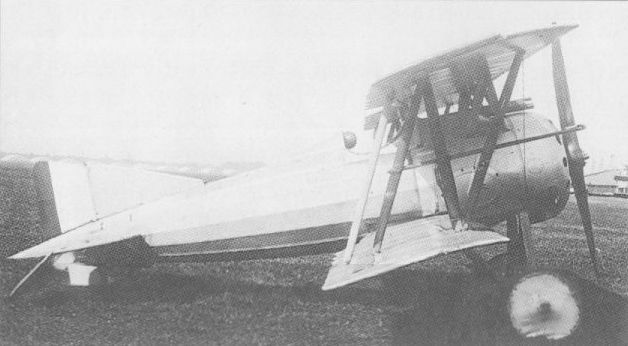 Although possessing a fuselage closely resembling that of the Type AI monoplane developed in parallel, the Type AF was not merely a biplane version of its contemporary, the two aircraft differing dimensionally. 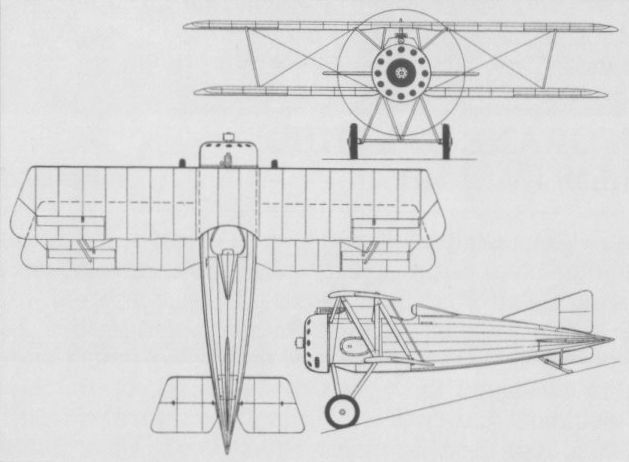 The first single-seat fighter of biplane configuration to be developed by Morane-Saulnier, the Type AF was fitted with a 150 hp Gnome Monosoupape 9Nb rotary and a single 7,7-mm Vickers gun. First flown on 23 June 1917, the Type AF demonstrated excellent handling qualities and good performance, but it offered little improvement on the SPAD S.XIII which was already in quantity production. The Morane-Saulnier biplane, therefore, was not ordered for the Aviation Militaire. However, in November 1917, a derivative designated Type AFH was readied for testing, this being intended for launching from a ship’s deck. The Type AFH had a single central pontoon-type float with a beam of 8 ft 10 1/3 in (2,70 m) and a length of 4 ft 8 2/3 in (1,44 m), and a small tail float, allowing the fighter to alight on water and take-off on wheels incorporated in the central float. Some flight testing of the Type AFH was conducted, but this shipboard fighter version was not adopted. The following data relate to the Type AF. Max speed, 129 mph (207 km/h) at 3,280 ft (1 000 m). Time to 6,560 ft (2 000 m), 4.83 min. Empty weight, 928 lb (421 kg). Loaded weight, 1,431 lb (649 kg). Span, 24 ft 6 in (7,47m). Length, 16 ft 10 3/4 in (5,15 m). Height, 7 ft 8 1/2 in (2,35 m). Wing area, 164.8 sq ft (15,31 m2). The first Morane-Saulnier biplane fighter, the Type AF, did not achieve production.